ROYAL DOULTON EVERYDAY ‘BLUEBERRY’ DINNER PLATES x 2. Condition is Used. Dispatched with Royal Mail 2nd Class. Bramley Hedge wall plate in perfect condition. 6 Large Dinner Plates (10.5 ins / 26cm). 6 Small / Side Plates (6.5 ins / 16 cm). Would make a lovely wedding present. 2 handled tureen / bowl with lid ( 8 ins / 21 cm ) (See photo tiny 3mm chip to handle on lid). 6 Royal Doulton 'Larchmont' Dinner Plates in excellent condition. Dispatched with Royal Mail 2nd Class. I have listed other Royal Doulton Larchmont items for sale and am happy to combine postage. Dinner Plates TeaPlates & Bowls Tableware. 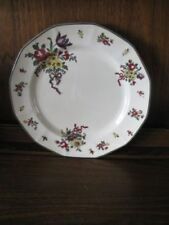 Royal Doulton French Provincial H4945. 4 Bowls 17.5 x 4 cms. 6 Dinner Plates 26 cms Dia. Dinner Plates have a few surface scratches. 7 Tea Plates 21cms Dia. QUICK LINKS. Pattern Number T.C.1118. 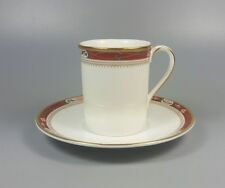 White With Strawberry Design And Gilt Rim. And in the stunning & vibrant Lynn ware design. Dinner Set includes One 6" side plate has a hairline crack in the glaze (see photo) and one serving dish lid has cracks where it has been repaired. 6 10.5" dinner plates. This is a beautiful set with burgundy pattern with flowers with gold edging. A total of 8 available. 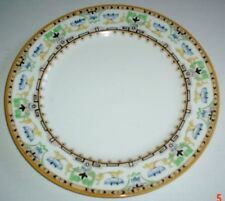 1 pcs Royal Doulton dinner porcelaindinner plate Gold Belmont H4994 pattern. 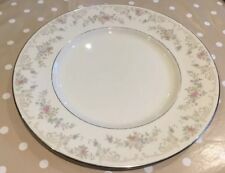 Royal Doulton Expressions Lomond Dinner Plate, excellent condition, no chips or scratches. 2 available. Approx 27cm diameter. I have many other items in this collection also available. I can discount postage for the multiple purchases. Design by David Hockney. 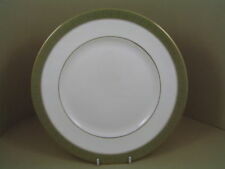 Royal Doulton Salts Diner 10.75" dinner plate. 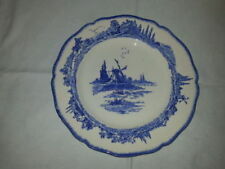 Royal Doulton Blue & White 'Clifton'. In the blue and white 'Clifton' Flower and Insect pattern. Flower & Insect Pattern, Tea Trio c.1923. Stamped Royal Doulton, England. ROYAL DOULTON TWILIGHT ROSE. A pretty set of 6 dinner plates. White bone china with pink rose & grey design and silver trim. Lovely condition. 6 Royal Doulton old colony bone china dinner plates. Colour bright. Royal Doulton Antique Gold Pattern H5005 1st Quality. Royal Doulton china dinner plates in the Winthrop pattern of red edge & gold leaves now discontinued but originally available between 1963 & 1975. Weight approx 525grams each. Price is for all 6 plates. 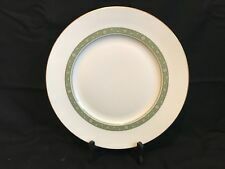 7 Brand New Royal Doulton Maze Gorden Ramsey 11 Inch Dinner Plates White. Obviously in perfect condition Bought yesterday but the sides are too deep for my cupboard. Will be a 2 hour round trip for me to return them. Dispatched with Royal Mail 2nd Class. 8 x Vintage Royal Doulton Sherbrooke H5009 Large Dinner Plates 10.5"
There is EIGHT (8) large dinner plates in this sale All offered for sale in excellent used condition with no chip crack repair or crazing. With some wear and knife marks Bone china decorated in black scrolls, slate blue band with silver trim Pattern Name: Sherbrooke Pattern No: H.5009 In production from 1971 to 2001 Each measures 8 x Dinner Plates (27cm wide on rim) All with printed marks. 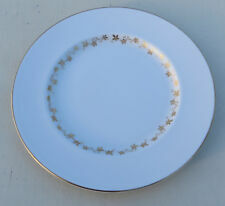 Royal Doulton - Morning Star Dinner Plates X6. Dispatched with Hermes Tracked. This is an ideal opportunity to replace breakages and/or enlarge your tableware. 'Pastorale' with Platinum Trim. Pastorale is a delicate subtle pattern with a fine detailed flower border and a rich platinum rim. SET of 4 OVAL STEAK PLATES. ROYAL DOULTON ~ ENGLISH FINE BONE CHINA. THIS AUTION IS FOR 1 SET OF 4 PLATES BUT I HAVE 2 SETS AVAILABLE. Hand Painted D5334 - 10.5" Dinner Plates. Stamped to base Royal Doulton, England, "Minden" D5334. Set of 4 Royal Doulton 1930's 'Minden'. in the "Minden" pattern - cream coloured. These 2 dinner plates made by Royal Doulton in the Rondelay pattern are in good condition, showing light use. I do not make any profit whatsoever on this. Royal Doulton. We fully understand that things can go wrong for a variety of reasons. Any prior use has been minor. 'Carnation'. Royal Doulton. 3 x Dinner. Pattern and Glaze remain vibrant. 4 x Plates. Once Treasured; Now ready to be Treasured Again! and minimal signs of usage. with only light platinum rub. King arthur's knights pattern - d2961. This is a very decorative plate in the King Arthur's Knights pattern of Series Ware. 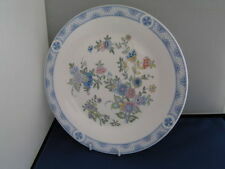 Royal Doulton series ware dinner plate. This pattern was first introduced in 1908 and withdrawn by 1930. 3 ROYAL DOULTON "BERKSHIRE" DINNER PLATES. 10.5"
"BERKSHIRE". 3 ROYAL DOULTON. DINNER PLATES. Six plates in excellent condition. ROYAL DOULTON PROVENCAL 6 ENGLISH FINE CHINA DINNER PLATES 10 5/8"
As stated,these Royal Doulton Byron dinner plates are in very good used order. These plates are made in England ~ NOT Overseas. ROYAL DOULTON BRUCE OLDFIELD BLUE 2004 RD DINNER PLATE 10"
Royal Doulton BURGUNDY Dinner Plate. Diameter 10 1/2 inches. Royal Doulton TINTERN 10 inch Dinner Plate - white flowers - MORE!